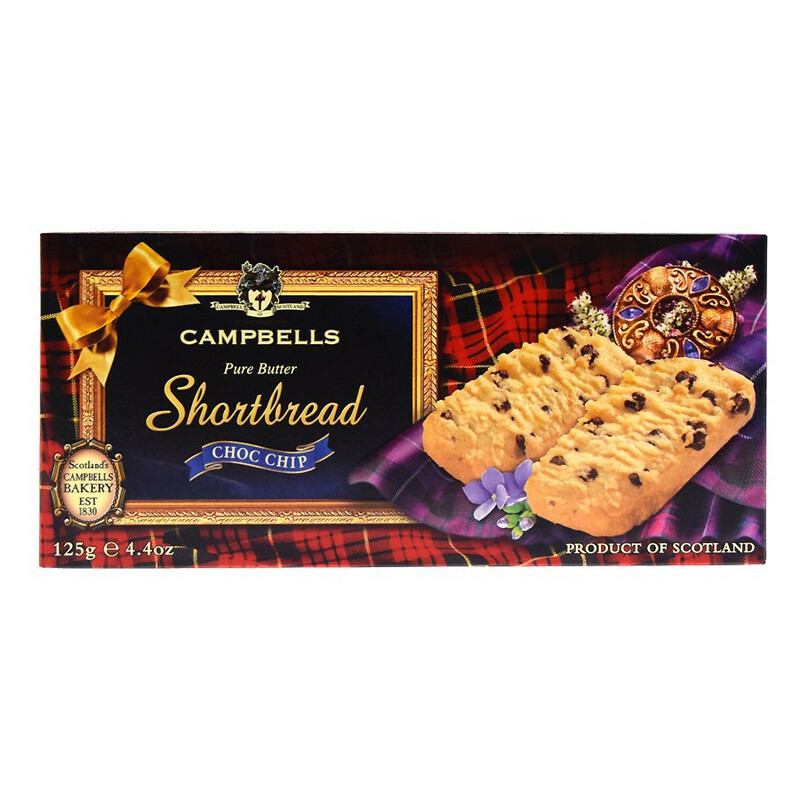 Delicious buttery chocolate chips shortbreads from the scottish brand Campbells. The alliance of scottish buttery shortbreads with delicious chocolate chips is marvelous. These biscuits melt under yoru palate and will please children and adults. Ingredients: wheat flavour (enriched with calcium, iron, vitamines B 1 and B3), butter (10.0%) (milk), sugar, chocolate chips (10.0%) (cocoa paste, sugar, soya leticin, natural vanilla aroma), milk powder, salt, vanilla aroma. Allergen information : contains milk, wheat, gluten, soya.